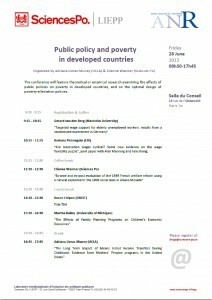 Blogs.sciences-po.fr > The POLitics of INEqualities > News > Seminars "Inégalités et politiques" > Public policy and poverty in developed countries. LIEPP Sciences Po. 28 june 2013. 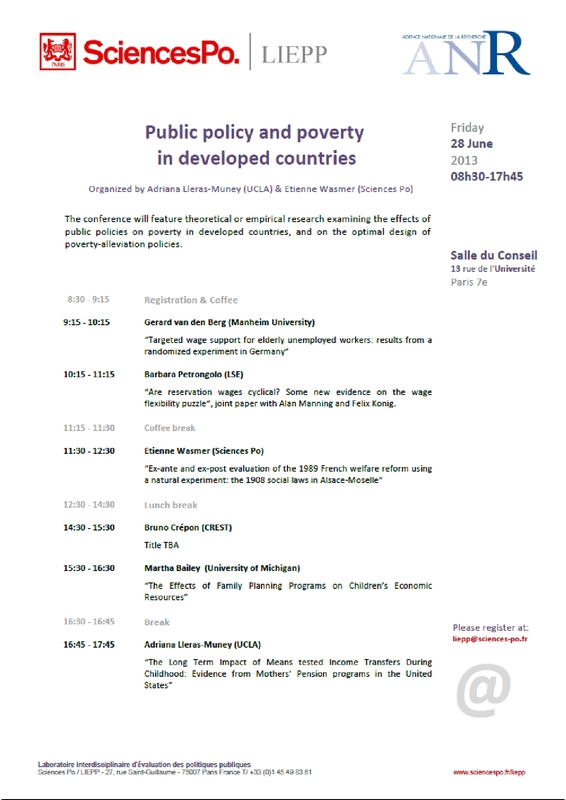 This conference organized by Adriana Lleras-Muney (UCLA) & Etienne Wasmer (Sciences Po) will feature theoretical or empirical research examining the effects of public policies on poverty in developed countries, and on the optimal design of poverty-alleviation policies.